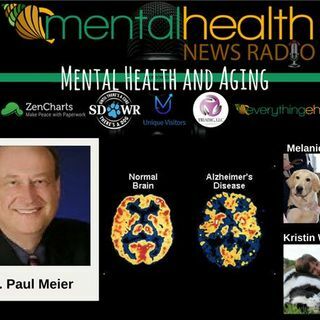 Dr. Paul Meier - Author, Speaker, Psychiatrist, and founder of www.meierclinics.com joins Melanie Vann and Kristin Walker for an important discussion about aging and mental health. It's a difficult road for many adult children as they see their parents memory lapses become more prevalent. If Alzheimer's disease and dementia are the known cause of other family members deaths, this is of greater concern for both the aging parents and their children. There is much to be understood. Some ... See More family members become hostile, angry, and difficult to help as they struggle with mental health complications due to aging and genetics. Dr. Meier, Melanie, and Kristin take this show to a deeper level discussing mental health at any age. Join us for an inspiring conversation about death, aging, and honoring the process.